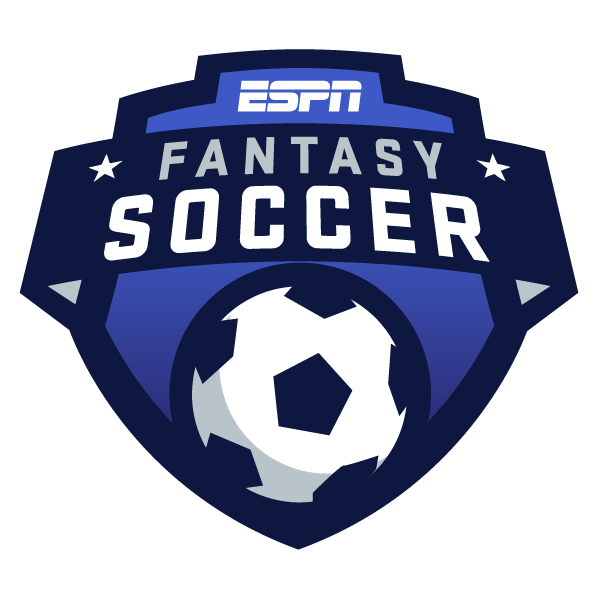 When playing fantasy soccer, the position I typically think about least is goalkeeper. Goalkeepers have their own separate scoring system, and thus far my strategy has been pretty simple: Pick the keeper who has the best chance of a clean sheet each week, which will get you 10 points -- the equivalent of a goal from an outfield player. If you get anything more than 10 points, it's a bonus. But I'm starting to think about changing my approach at the goalkeeper position and taking more risks, based on the past couple weeks. This week I selected Alisson, with Liverpool hosting Cardiff City, one of the worst teams in the league. Not only was he facing a weak opponent, at Anfield, but Alisson was also tied for the league lead in clean sheets with six, and had conceded just three goals in nine games. It wasn't a bad decision. But it was a bad result. Cardiff barely troubled Alisson, taking just two shots in the game. But in the 77th minute, a Cardiff cross took a wicked deflection off a Liverpool defender and teed up Callum Paterson to score with Cardiff's only shot on target of the game. Bye bye, clean sheet. And Alisson's fantasy score sunk from 10 points to minus-2. Fortunately, I still won my fantasy matchup this week. But that could have really cost me. As it turns out, a similar thing happened to my fantasy opponent this week. He had Wolves' Rui Patricio as his goalkeeper. Wolves lost 1-0 at Brighton, and Patricio conceded a goal on Brighton's only shot on target. He also finished with minus-2. Again, not a bad decision, but a bad result. Yes, Watford's defensive record this season isn't nearly as good as Liverpool's -- Foster had conceded 12 goals in nine games. But they were playing at home, against a team that has scored a league-low four goals this season. Huddersfield are not the league's poorest team in terms of shots, however. They're averaging more than 10 shots per game, and nearly three shots on target. And Huddersfield were likely to have way more possession at Watford than Cardiff were likely to have at Liverpool. Will Liverpool remain a fantasy force? It's easy to say this in hindsight, but Foster looked worth the extra risk. Foster wasn't the only goalkeeper with a big fantasy points total this week. As mentioned above, Brighton beat Wolves 1-0, and Brighton keeper Mat Ryan also finished with a clean sheet, seven saves and over 30 points. I'd say there was a little more luck involved here. Wolves have now taken 145 shots in 10 games -- level with Liverpool, and only three teams have taken more. They took 25 against Brighton, and finished with an expected goals total of 1.78. Still, you can't argue with results, and Brighton have now produced three clean sheets in a row. If you look at the overall goalkeeper numbers through the first 10 weeks of the Premier League season, it's as expected at the top of the leaderboard. Manchester City's Ederson has a league-high seven clean sheets, a league-low three goals conceded, and has the most fantasy points as well. Alisson, with six clean sheets and four goals conceded, is right behind him. Chelsea's Kepa Arrizabalaga is fourth, with numbers similar to the top two. He has five clean sheets and just seven goals conceded. West Ham's Lukasz Fabianksi and Burnley's Joe Hart are the leaders in saves, with 44 apiece. But they're relatively far apart in fantasy points. Fabianski is fifth, despite only have one clean sheet! That's because of his saves total, plus the fact that he's only conceded 15 goals. Hart has conceded 21 goals, which explains why he's all the way down in 11th place. I don't think I'll be picking Hart for my fantasy team anytime soon. But I will be considering someone like Ryan or Foster in a favorable-looking matchup going forward. In fact, Foster might be in my team this coming weekend. Watford will be away this time around, but against another weak opponent. Newcastle have only scored six goals this season, but their shooting numbers are similar to Huddersfield's. They are averaging nearly 10 shots per game, and more than three shots on target. Brighton played at Newcastle two weeks ago, and won 1-0. Ryan ended up with a clean sheet, six saves, and over 30 fantasy points in that game as well. Would Ederson playing at home against Southampton -- another team that has only scored six goals this season -- be the safer play? Absolutely. But don't be surprised if Foster finishes with more fantasy points ... perhaps way more. And that could just be worth the risk.